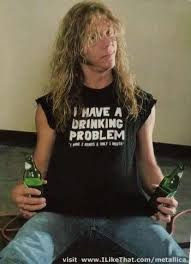 As worn by a young James Hetfield of Metallica - I HAVE A DRINKING PROBLEM "I have 2 hands & only 1 mouth" t-shirt. 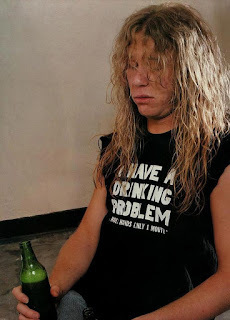 James Hetfield is maybe sober now but he was one hell of a drinker and party animal in his youth. 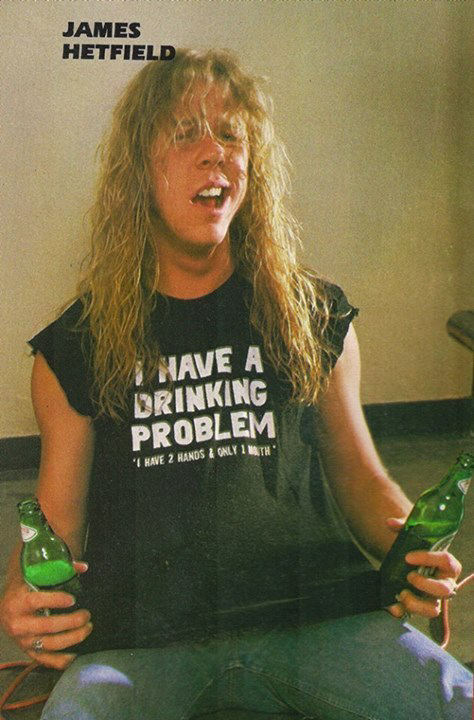 Do any of you remember MetallicA AlcoholicA? Neither does James Hetfield!